Dirak A Leading Best Concealed Hinges manufacturers and dealers in Bangalore. 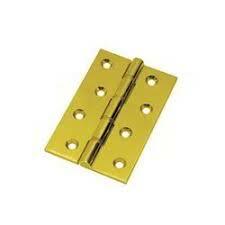 we offer a high-quality range of Concealed Hinges(70mm). These hinges are made from premium quality stainless steel and hence are durable in quality. Dirak present range of locks is widely demanded by our clients for a wide variety of door applications. Best Concealed Hinges manufacturers and dealers present the clients with a superior quality range of high strength Die Cast Panel Lock supplier in Bangalore/India. These concealed door hinges are appreciated for their reliable operation and durable construction which can withstand harsh environments without any loss of longevity and efficiency. They are designed as per the specifications of the clients’ requirements. Best Concealed Hinges manufacturers and dealers in Bangalore is among the very well-known companies in the field of offering Concealed Hinges. Available in variegated ranges and these hinges are widely demanded their user-friendly nature and lightweight. Along with this, these are made and designed by using the latest technology. our skilled professionals, Best Concealed Hinges are unbeatable solutions for any range of furniture Innovative, reliable, untiring performers.